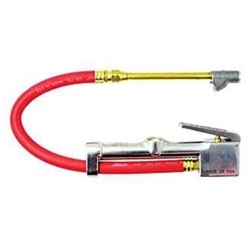 Milton Window Inflator Gauge Dual Head Straight Foot Chuck 15” Hose BOWES MIL 516. 10 PSI to 160 PSI in 2 lb increments. full swivel.